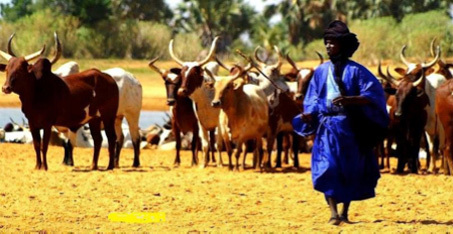 Article on the Fulbe in "Jeune Afrique"
Did you know that the Fulbe, with at least 50 million people, are the largest original nomadic group in the world? Did you know that the Fube are in more than 25 countries in West, Central and East? Did you know that the Fulbe empires before the colonization of Africa, covering a much larger Area that countries such as Spain, France, Germany and Poland combined? If you want to learn more about this important nomadic group of Africa and their rich culture (the Pulaaku), then come to the International Pulaaku Festival on June 30, 2018 at Centre Français de Berlin, Müllerstraße 74, 13349 Berlin-Wedding.